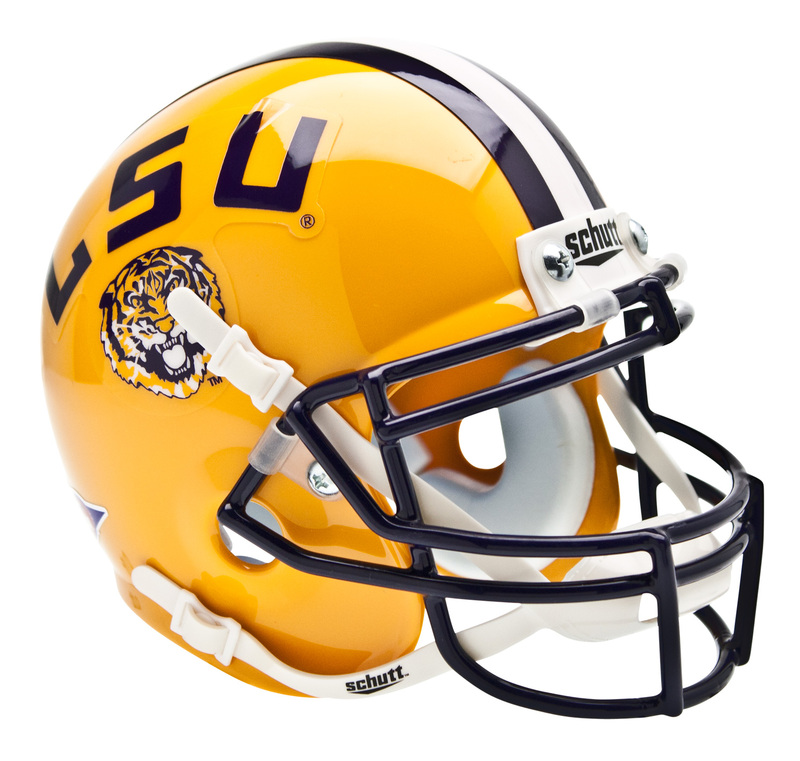 Schutt's LSU Mini Authentic XP Helmet is a perfect display for any room to show your collegiate team pride. Genuine on-field helmet, scaled down to 1/4 scale. Hard durable shell with complete interior pad set.